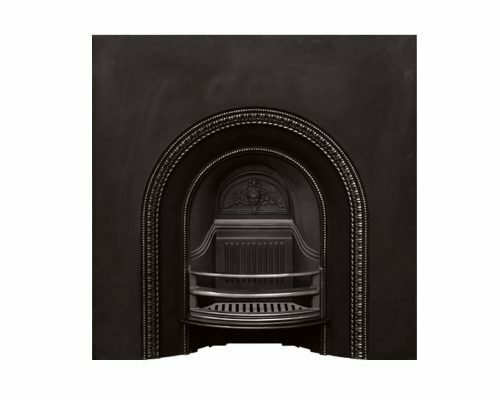 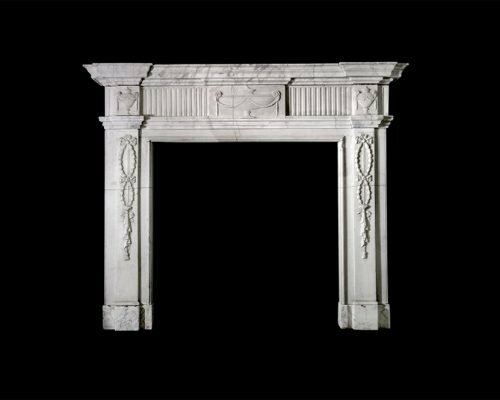 Late Victorian chimneypiece of neo-classical form. 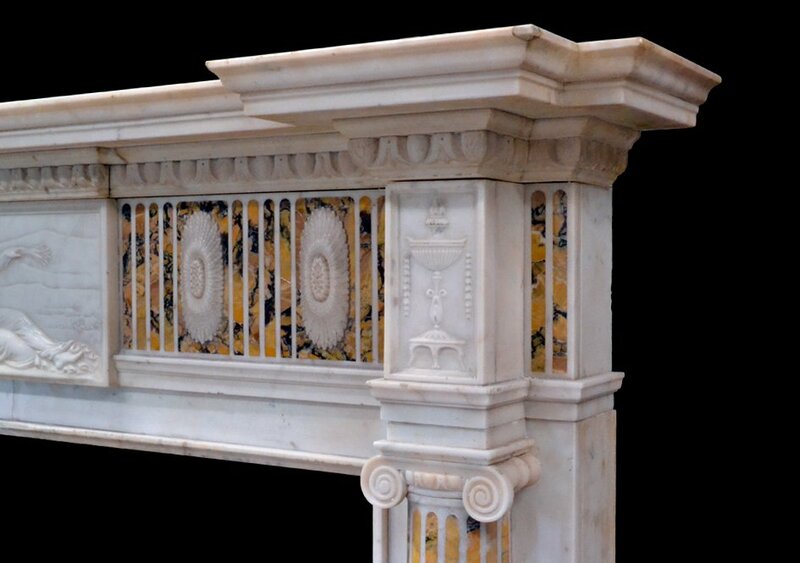 In statuary marble with engaged ionic columns inlaid with stop flutes of convent siena and terminating beneath corner blocks carved with lidded urns. 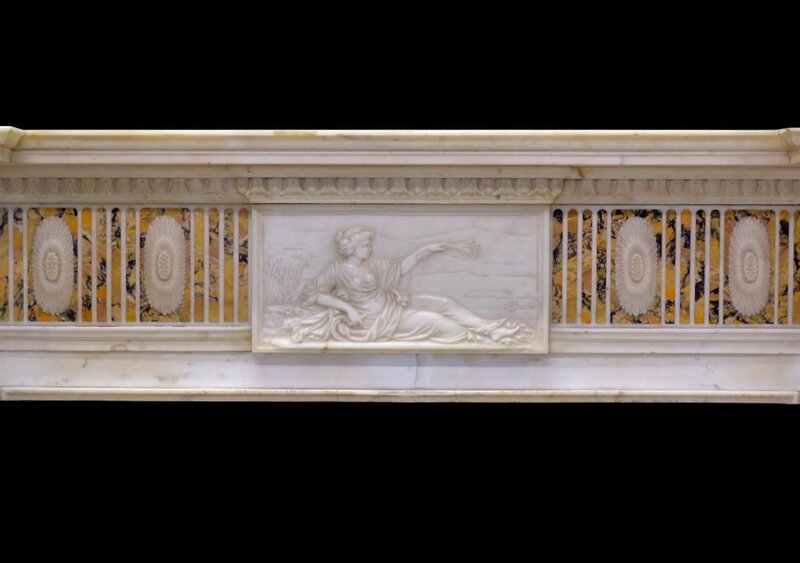 The central frieze tablet carved with a reclining female figure and flanked by frieze panels inlaid with flutes of siena with overlaid elliptical rosettes. 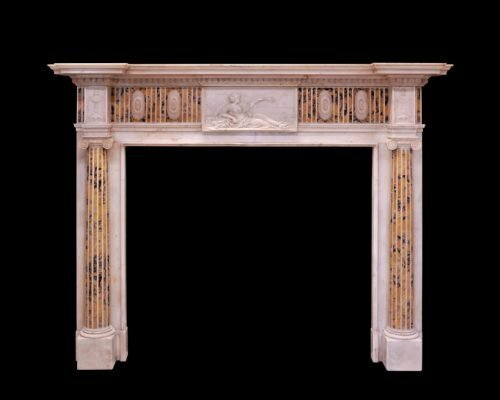 19th c Statuary and Carrara marble George III style chimneypiece with carved urns on the centre tablet and capital blocks. 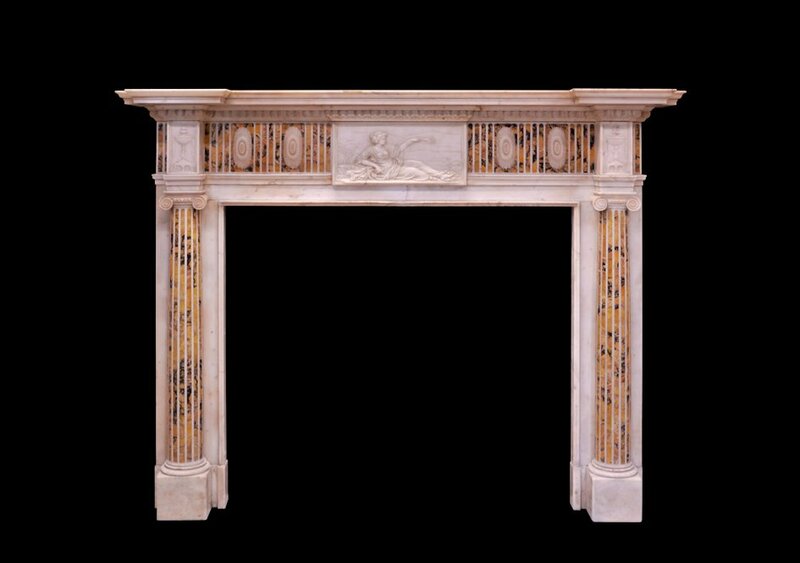 Late Victorian chimneypiece of neo-classical form.